This post is in partnership with Kimpton Hotels, but all opinions are my own. 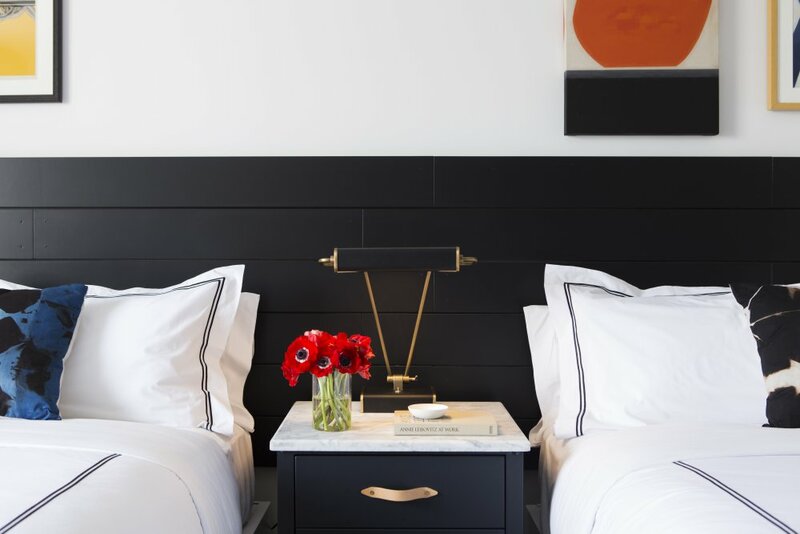 Hotel Interior images are c/o Kimpton Hotels by Laure Joliet. 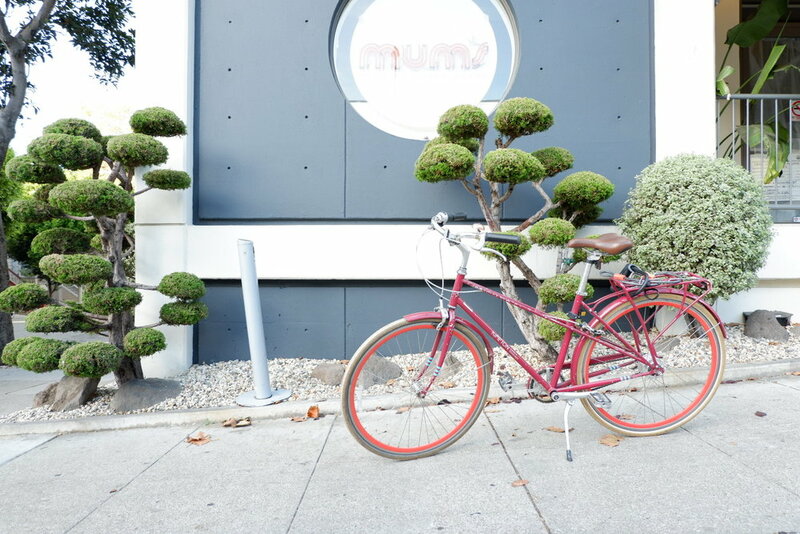 I am newly obsessed with San Francisco's Japantown & had to share with you! I was recently visiting SF on a trip with my mom, and her taste is a little less "hipster-friendly" than mine. The Buchanan Hotel in Japantown was the perfect compromise of being in a nice safe area that wasn't too touristy, where we were always within a short Uber ride of where we wanted to be. As always, this Kimpton had a signature bike for me to borrow and gorgeous decor! The aesthetic was very minimalist to align with the neighborhood, which we also loved. Across the street you can see some great little shops and a Japanese mall with all kinds of fun treats. I stumbled into the neatest little store where I got some orange chopsticks for a souvenir. 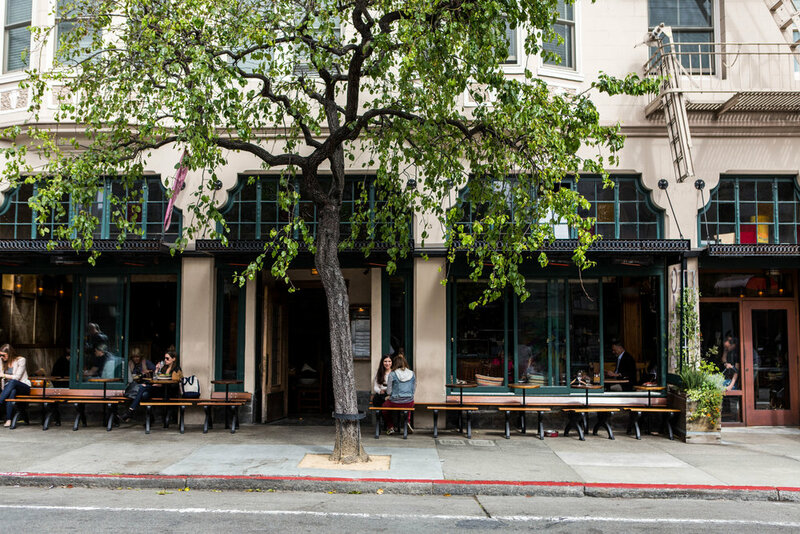 The neighborhood had so many fabulous restaurants within walking distance, too. Our favorites were Sweet Maple & Roam. They serve GIANT breakfast portions at Sweet Maple, and you'll have to be sure to try the "Millionaire's Bacon"! True story, I've never been disappointed by a Kimpton Hotel! They are definitely the cleanest pet-friendly hotels you'll find, with great staff and awesome ambiance. See my other Kimpton stays in Savannah, LA, & Pittsburgh, and follow me on Instagram where I try to make every day feel like the weekend!